Thank you for your interest in Human NIBP Nano Interface. Please complete and submit the form below and an ADInstruments representative will aim to get in touch within one working day. If you’d like to speak to someone immediately, office contact information is available from the contact page. 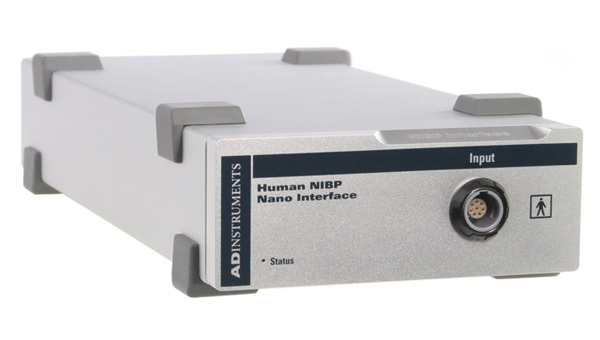 The Human NIBP Nano Interface is required to connect the Human NIBP Nano Wrist Unit to a computer running LabChart. The Human NIBP Nano Interface is required to connect the Human NIBP Nano Wrist Unit to a computer running LabChart. The interface connects to AC Power and USB at the rear and directly to the Wrist Unit at the front.